Steph Curry has etched his name into the 3-point record books yet again. 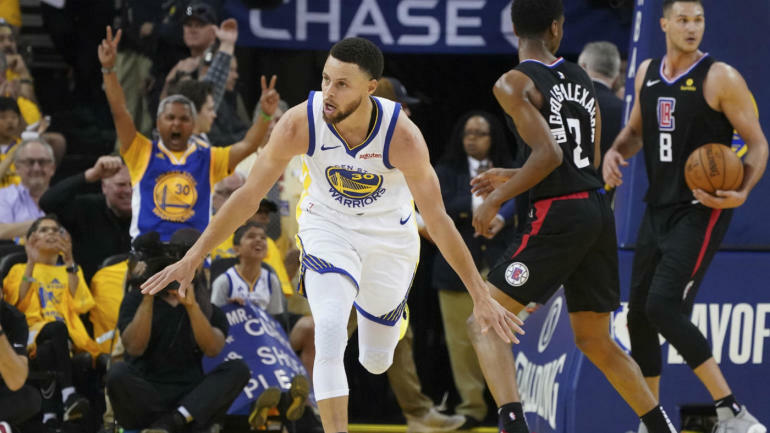 Already one of the best 3-point shooters ever, Curry reaffirmed that fact during the Golden State Warriors‘ Game 1 win in their first-round series with the Los Angeles Clippers. Interestingly enough, No. 3 on the list behind Curry and Allen is one LeBron James. “The King” isn’t exactly a 3-point specialist but he has played in so many playoff games that he’s racked up 370 triples. Of course, LeBron and the Lakers aren’t in the playoffs this season, so he won’t be able to add to that total this postseason.